According to the European Union, “multilingual citizens are better placed to take advantage of the educational, professional and economic opportunities created by an integrated Europe”. That’s why the ability to speak three languages is the major goal of European language policy. Whatever you think of bailouts, bonds, rebates and agricultural policies, the EU is definitely on to something with this. According to a 2012 report, more than seven in ten Europeans agree that people in the EU should be able to speak more than one language in addition to their mother tongue. And yet, at present, only a quarter of Europeans can do that. 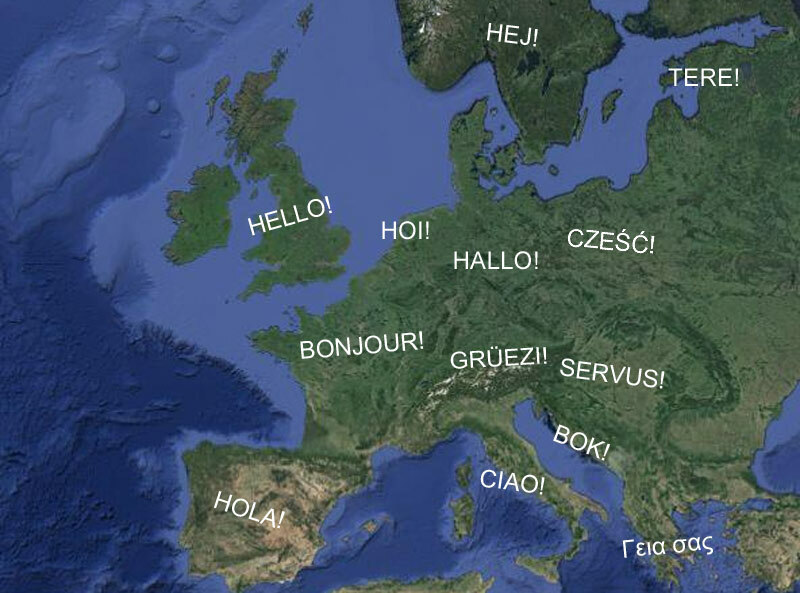 The European Union’s policy proposes that every citizen should speak their mother tongue, a neighbouring language and a third, international language. For most people, this international language will be English. Although this is never specified – a core of French-speaking individuals hold power in European language policy – the 2012 report confirms that two thirds of Europeans (67%) consider English as one of the two most useful languages for themselves. That’s significantly more than German (17%), French (16%), Spanish (14%) and Chinese (6%). Multilingualism gives you access to the world. Countries where the main language is spoken by relatively few people recognised this a long time ago, which is why the Netherlands, Sweden, Norway, Denmark and Finland have some of the highest rates of multilingualism in Europe. Their economies have also been consistently among the strongest in Europe in recent decades. Perhaps with this in mind, newer member states such as Slovenia, Latvia, Lithuania and Estonia are now among the most multilingual of all, with more than 50% of respondents in each country able to speak three languages. In contrast, countries with a dominant official language that has a large number of native speakers have not been so proactive in encouraging multilingualism. Britain, France, Portugal, Italy and Spain are all well below the European average when it comes to multilingualism. Their economies have also been suffering for much of the last decade. That’s not to suggest that the cause for the countries’ economic problems has been a lack of language skills, but perhaps that the approach to languages could reflect something larger; perhaps to do with global outlook. Germany and Austria, both officially monolingual countries, have suffered less in the recent economic turmoil, and both have higher rates of multilingualism. Their economic strength has been based on exports. On an individual level, each language you speak opens up new places to travel, new people to meet and new possibilities for work. One of the most interesting trends to come out of the economic turmoil in Europe since 2010 has been an unprecedented flow of talented, educated young people out of Southern Europe and into the strong economies of Germany and Austria. 45,000 Italians moved to Germany in 2012, as well as 37,000 Spanish and 35,000 Greeks. Global companies may offer English-speaking working environments, but most of the new arrivals will need to speak German. With the ability to speak their mother tongue, English and German, these new arrivals would have a significantly easier time finding work that matches their qualifications. So those are the cold, hard stats behind multilingualism, but there are less tangible advantages too. For example, when you are able to speak more languages, you’re able to interact with more people and understand their realities. Each language is a lens through which we view the world and three lenses are better than two! Speaking English will allow you to communicate with almost two billion people around the world but that still leaves another 5 billion. The future belongs to those who speak three languages, so don’t settle for two! Join the conversation in the comments section below, or contact us to find out more about a language study trip.